Whether you are considering a course of therapy to address specific mental health challenges, or you've experienced sudden change or loss in your life and finding it hard to cope alone, I can offer you help as you take your next step. Whatever questions need to be explored and whatever current stressors are present, I can offer you tools to cope more easily. My approach to my clients is one of respect and compassion. Regarding the therapeutic relationship, my orientation is humanistic; I believe the relationship in itself is the most essential component. It creates fertile ground from which self-discovery and transformation can take place. Whatever your reasons for undertaking a therapeutic journey may be, I will respond to those issues, while at the same time focusing on inherent strengths and emerging qualities. In that way, we can reframe your psychological challenges as gateways rather than obstacles. 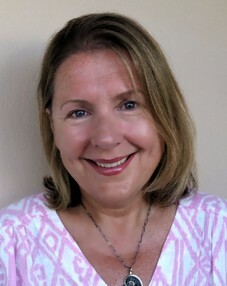 Together with traditional talking therapy, I offer techniques such as, mindful enquiry, Gestalt, therapeutic writing, breathing practices to help combat stress and anxiety, meditation and creative visualisations. I am a warm integrative psychotherapist, who offers a compassionate, safe and supportive environment. I draw on 20 years of experience in psychotherapy, counselling body and voice work to create a unique holistic therapeutic model.